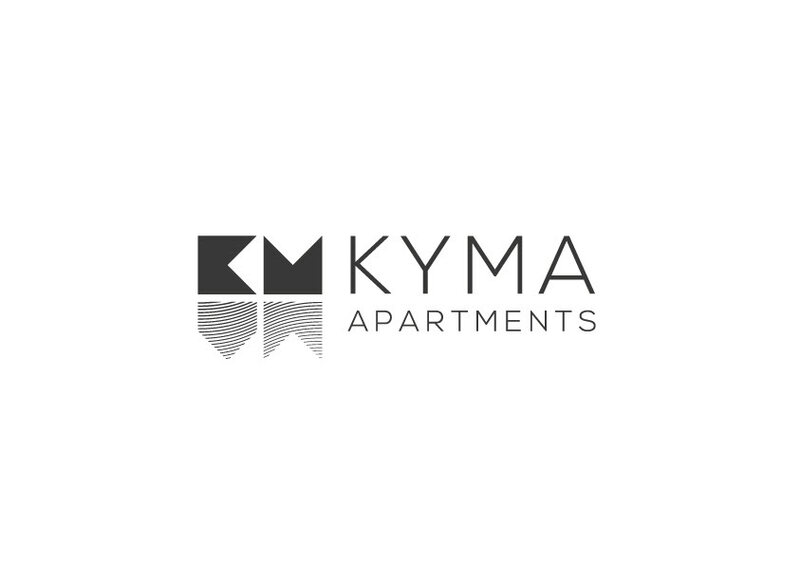 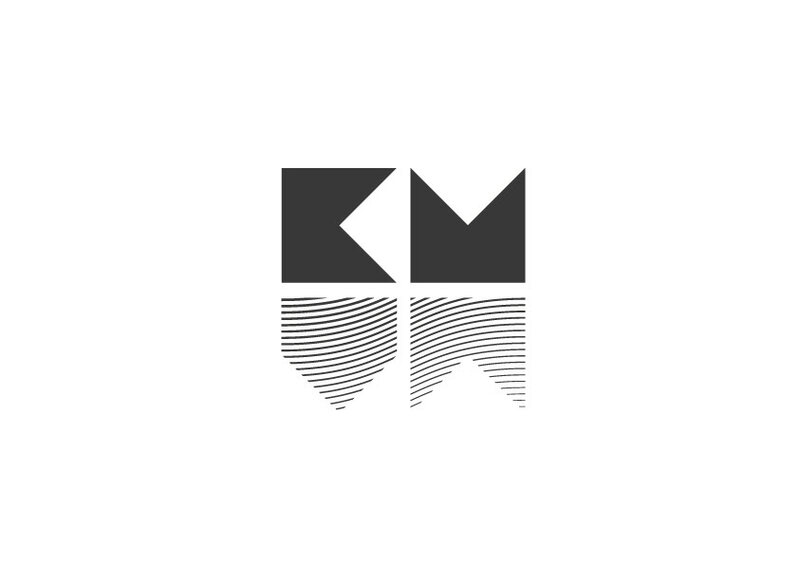 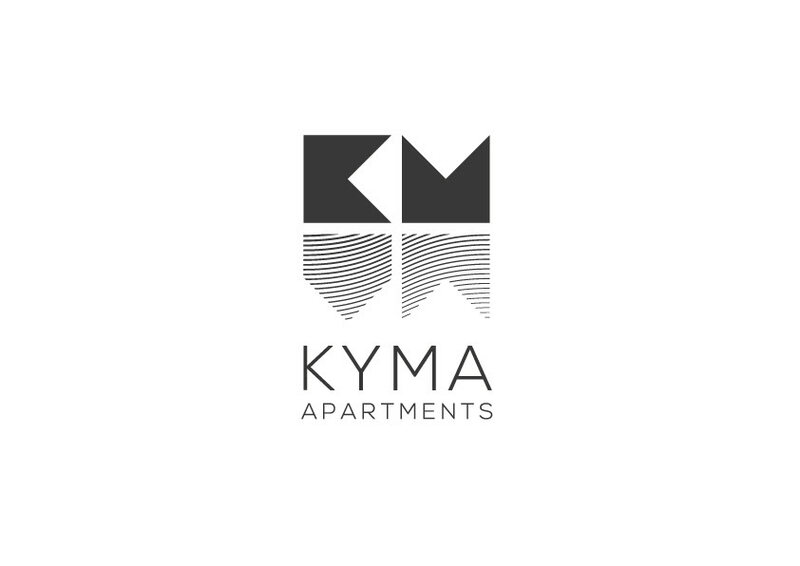 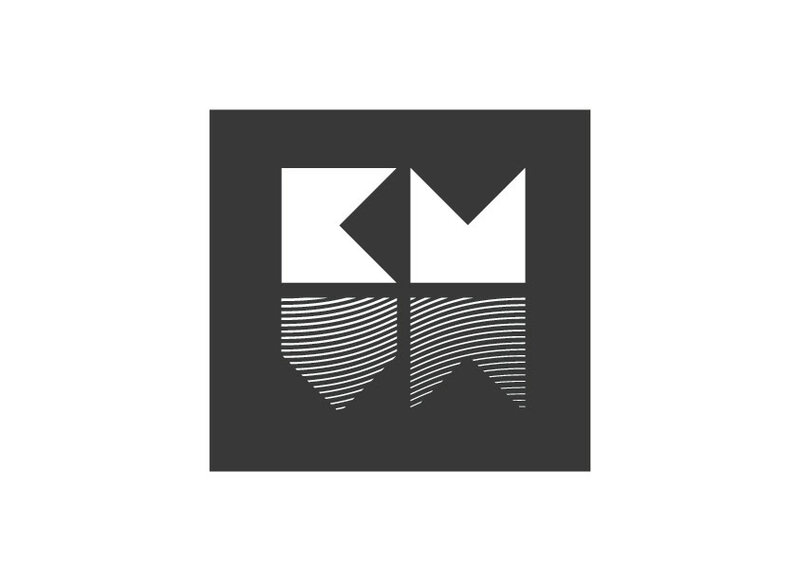 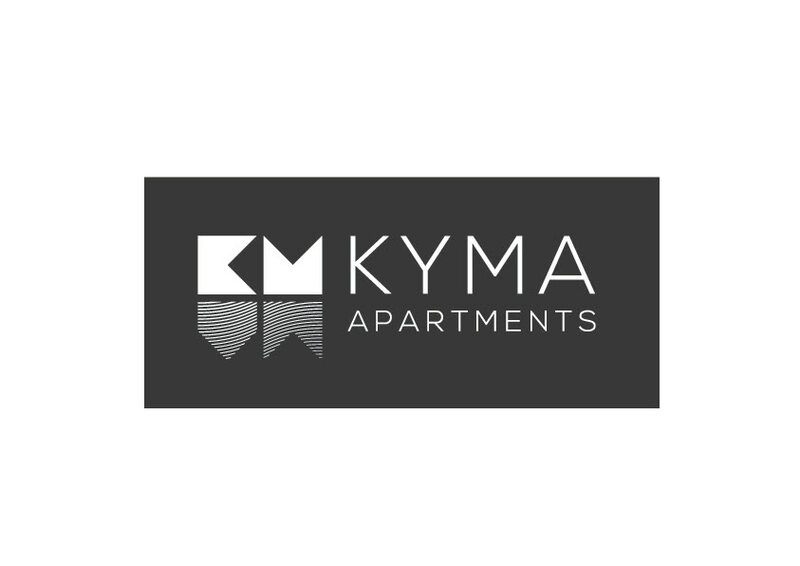 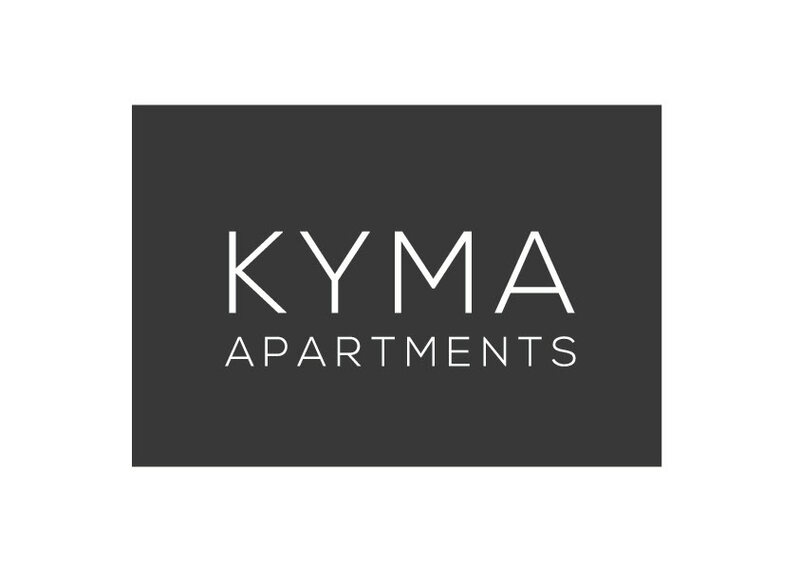 We were asked to redesign the logo of KYMA (greek word for wave) apartments. 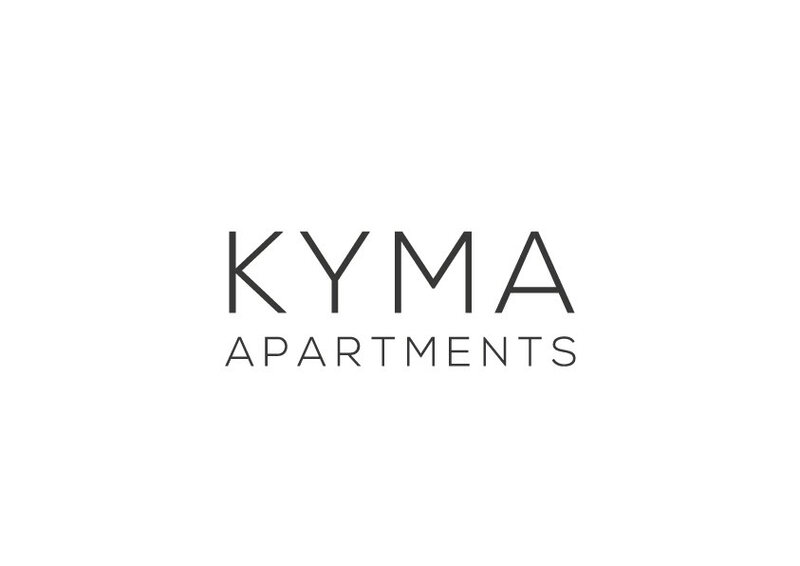 KYMA apartments offers modern accomodation in 2 different destinations, Athens & Naxos Island. 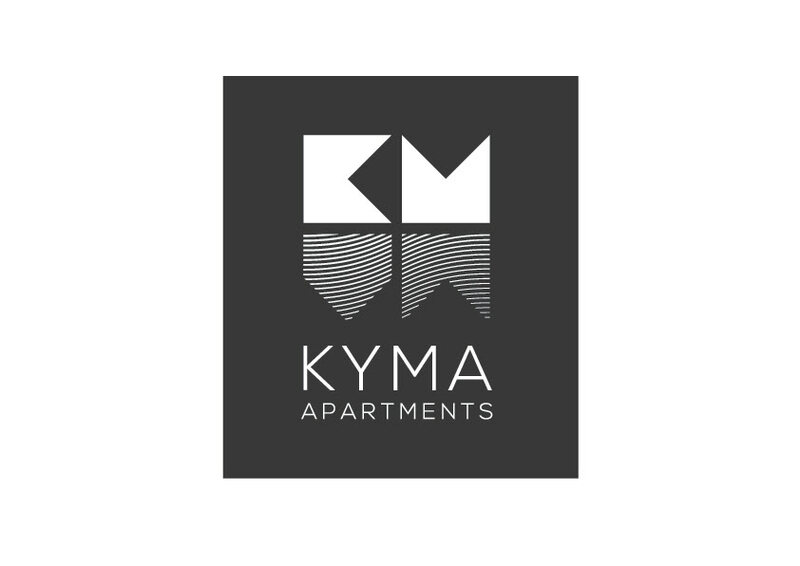 The 4 shapes (two solid and two with curved hatch) create the word KYMA read either horizontaly or verticaly, while they form solid shapes with their reflections mimicking buildings that reflect to the sea.